. 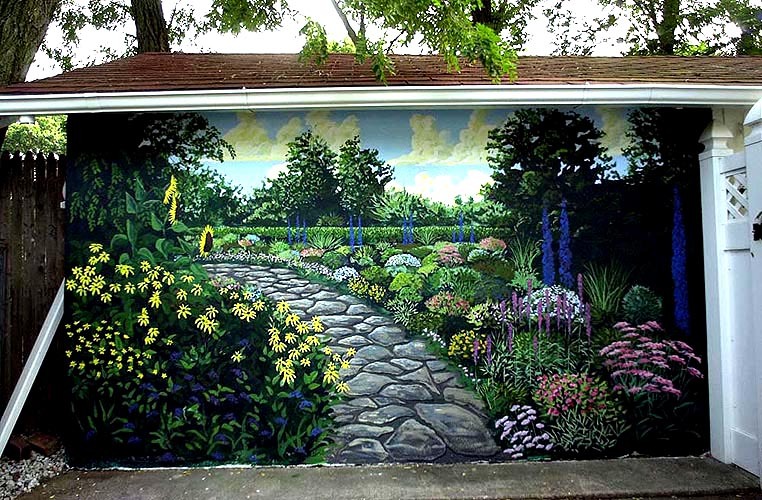 A visitor to the Red Bank mural approached Jim and I and asked if we could paint a mural in her backyard for her Birthday party. Every mural has some sort of challenge, and this one was that all we had left was one day to do it in. We arrived at 8:30 and were gone by 4:45. The next day 65 of her classmates helped her turn 10 years old.